Established with the gift of U.S. 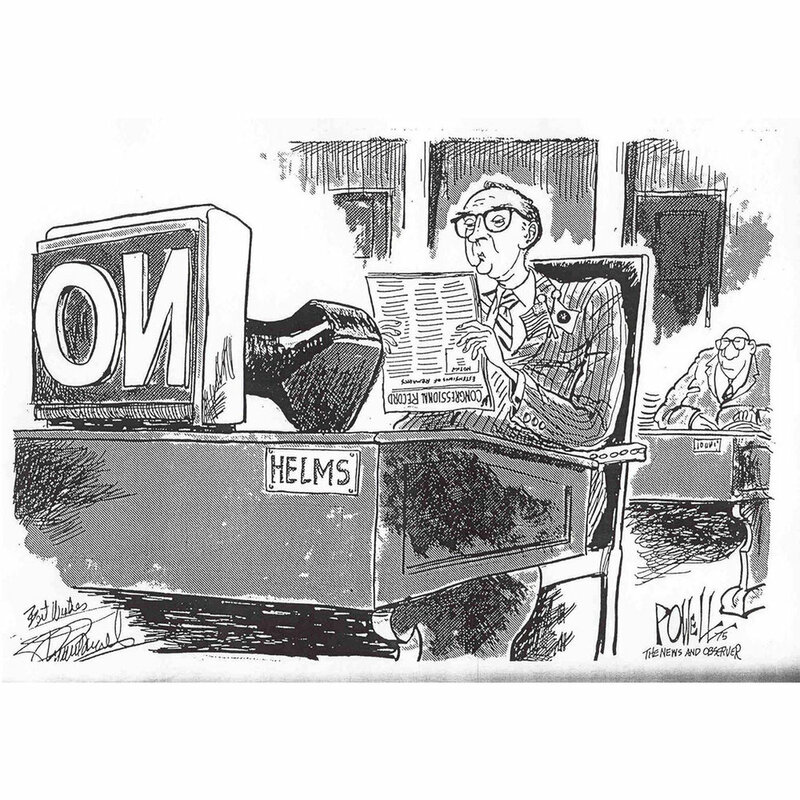 Senator Jesse Helms’ senatorial and political papers, the Jesse Helms Center Archives contains a wealth of information related to the life and times of Senator Helms. As joint custodians with Wingate University, we are dedicated to providing access to the Jesse Helms Papers by adhering to current archival standards and best practices. Research Room open Monday through Thursday by appointment only. For more information and research questions please email Rich Carney at r.carney@wingate.edu. The primary purpose of the Archives is to collect, appraise, organize, describe, preserve, interpret and provide access to the archival material that reflects the history of Senator Helms and his time in office. Our vision is to be recognized as a repository of primary source materials with a special commitment to documenting the life of Senator Helms. The Jesse Helms Center Archives is the designated repository for all of U.S. 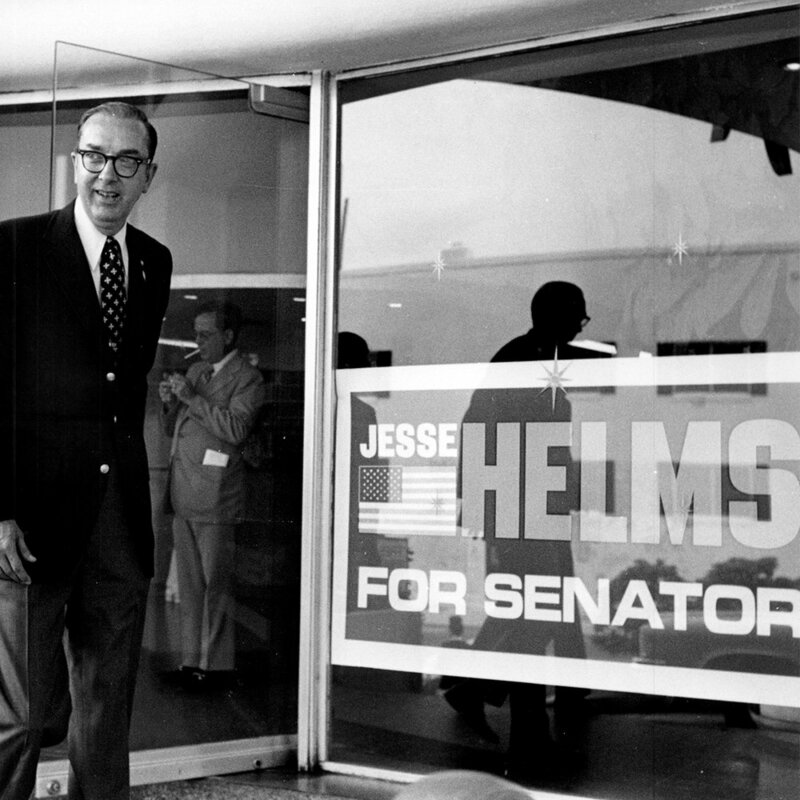 Senator Jesse Helms’ personal and political records of historical value, the Helms family and his administrative staff. Personal Papers (1924 – 1972, 2008, bulk 1960-1972) consists of WRAL correspondence and administrative files, scrapbooks, photographs, original “Viewpoint” editorials and transcripts and radio commentary transcripts. Senatorial Papers (1953 – 2004, bulk 1973-2002) consists mostly of material on Helms’ political career as well as files of Senate staff members. Included in the subgroup are Helms’ personal correspondence, work on Senate committees, issue files, speeches, voting records, photographs, audio and video material. Major topics of interest include the Panama Canal, communism, abortion, school busing, national defense, the budget and the National Endowment for the Arts. Political Papers and Campaign Files (1940 – 2004, bulk 1972-1996) contain files from Helms’ tenure as an administrative assistant to U.S. Senators Willis Smith and Alton Lennon, Raleigh City Council files, election series files and press files. The administrative records of the Jesse Helms Center Foundation. Relevance: All materials collected must be relevant to the JHC Archives mission and objectives. Condition: The condition of all materials will be considered prior to accepting materials into collection. The JHC Archives reserves the right to refuse gifts and donations of materials that are not related to the life and political career of Senator Jesse Helms or fit into the scope of the JHC Archives. All gifts and donations are subject to review by the Archives Director. Materials that are irreparably damaged or infected with insects or mold. Any materials or collections that the Archives cannot provide sufficient care and support. Any materials or collections that the Archives cannot provide suitable space or provide access to. The JHC Archives Collections Deed of Gift form must be filled out in duplicate. One copy will go to the donor and the other copy will go in our files. All materials and objects refused will be returned to owner. All materials and objects received will be accessioned into our collection.